Today’s blog post is all about custom suiting and our favorite Chicago Tailor. 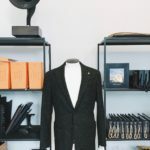 I’m sure when you think about having a custom suit made you automatically assume that the process is just too extravagant and far too expensive. I mean, that was surely our assumption. 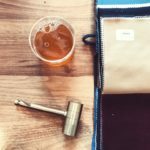 Until we met Zach Uttich owner of BLVDier Chicago, a custom clothier located in Chicago’s Fulton Market District. His prices are reasonable and the experience is superb. The studio itself is in the West Loop’s trendy Fulton Market district, surrounded by some of Chicago’s most exciting restaurants and businesses. The industrious minimalist feel is reflected in the aesthetic of the shop, its simplicity automatically putting the consumer at ease. Think white, bright and clean. Zach cultivates a stress free one on one shopping experience from the moment you walk through the door. You are greeted with a smile and the offer of a beverage (we went with whiskey as it seemed most appropriate) as Frankie Valli croons from above, and then begin what feels like a casual chat. How much or how little you know about suiting is irrelevant when you visit BLVDier, as you will be guided patiently throughout the process. Masterfully Zach will move you step by step as you design your dream garment. He works in such a way that at no point and time will you feel out of sorts or overwhelmed. Mostly, you will walk away feeling like you’ve made a new friend. Of course, you’ll also be feeling mighty good about yourself when the compliments start rolling in about how dapper you look. 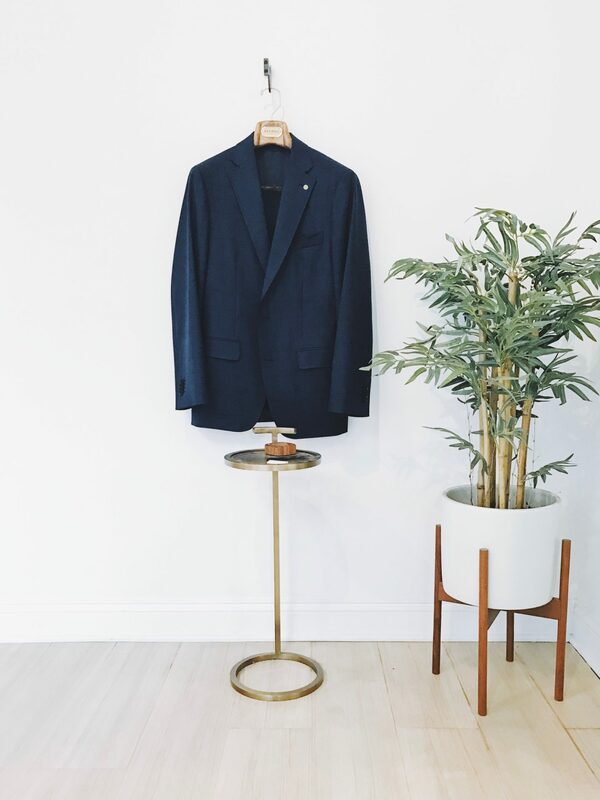 It is without question that we recommend suiting at BLVDier. If you’re hesitant about winging the process, we’re written out some helpful tips that will help put your mind at ease. If you live with Reside at our 945 W. Fulton Market property, you’re only a hop, skip and a jump away from what we consider one of the best clothing shops in the city of Chicago. Ask yourself what is the purpose of this suit? Where will you be wearing your new duds? Will you be attending a formal event or is this this suit meant for a more casual affair? Find Inspiration: Make sure to arm yourself with an arsenal of inspiration. We suggest googling the celebrity who’s fashion sense you most respect. Bring all collected images to your tailor and go from there. What kind of fabric would you like your suit to be made of? 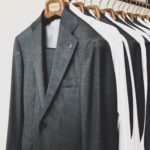 Your suit should be good for three seasons and be composed of a fabric lightweight enough that you won’t melt at a summer wedding but sturdy enough that you’ll also be comfortable if it’s a little chilly. Here are some fabrics to consider. 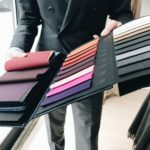 Worsted Wool: Worsted wool is the most popular wool used for suits, as it is highly adaptable to temperature change, wears well, and gives off that slight shine that you find in most suits on the market. It is extremely versatile and great for solid-colored suits. Super 120s: This fabric is a bit more of a luxurious lightweight wool. It’s extremely ideal for use in a three-season suit. Mohair: This fabric is silky and a bit more textured than the first two options. Two- Or Three-Piece? This is the fun part. Are you looking just the suit jacket and trousers, or would you like a matching vest to go with it? (We love vests so we are a bit biased). Traditionally, 2-piece suits are less formal, and 3-piece suits are more formal). 3-piece suits can be worn to upscale gatherings like weddings and dinner parties. They will keep you warm, and most importantly can become a 2-piece suit with ease, just remove the vest. If you don’t need the formality or live in a warmer climate, a standard 2-piece suit might be a better option. Many people recommend getting a 3-piece suit simply because it’s more versatile and can be worn with or without the vest. 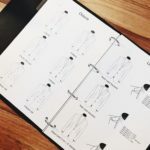 This article from The Gentlemanual takes a thorough look at what you should consider when purchasing a custom suit. Lapels, notch, peak, shawl, vent, double vent, full break, half vent… yeah it’s all pretty overwhelming. Having the lingo down will absolutely help the process, and this article breaks it down quite nicely.